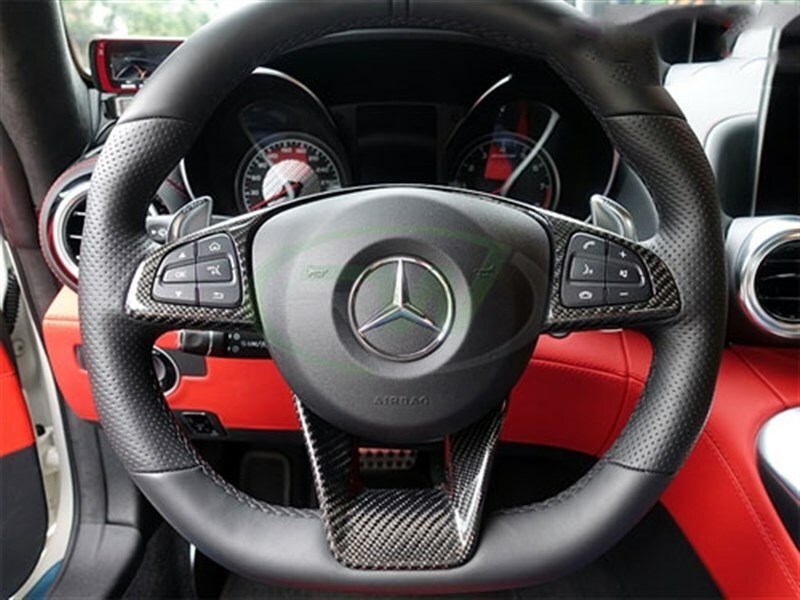 Complete your carbon fiber interior trim with a new carbon fiber steering wheel trim from RW Carbon. This fit most newer AMG models. To ensure this trim piece fits your Mercedes model please check the fitment guide below. 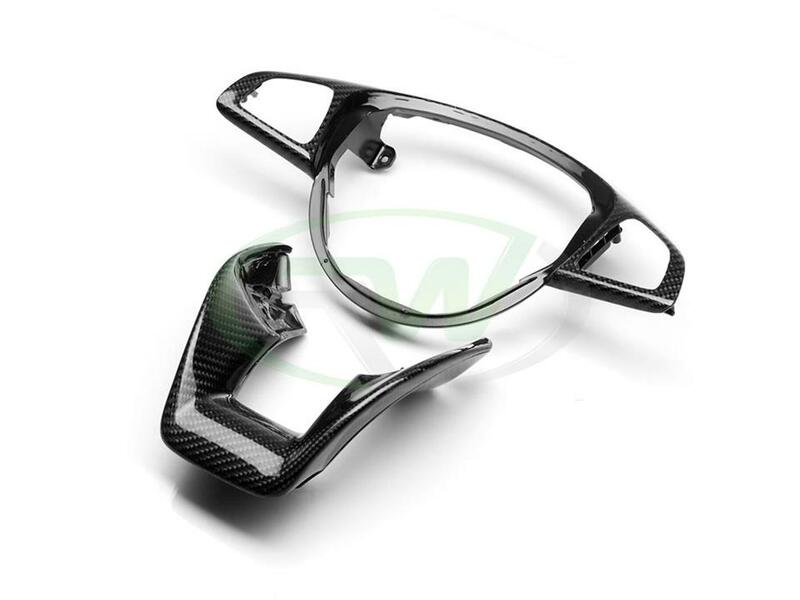 We make these steering trims out of 2x2 carbon fiber to match your other trim pieces. Just like all our other carbon fiber parts and/or accessories, this product is clear coated and polished for a brilliant shine. Prior to ordering please ensure your steering wheel looks like the images shown on this listing. If you have any fitment questions about this AMG steering wheel trim please contact us at 714.328.4406. This carbon fiber steerig wheel trim piece will require removing the airbags. For that reason we insist that profession installation is performed. We know there are many companies out there claiming to have the best carbon fiber upgrades for your Mercedes AMG. At RW Carbon we are different - We quality control every single item that we ship from our warehouses. 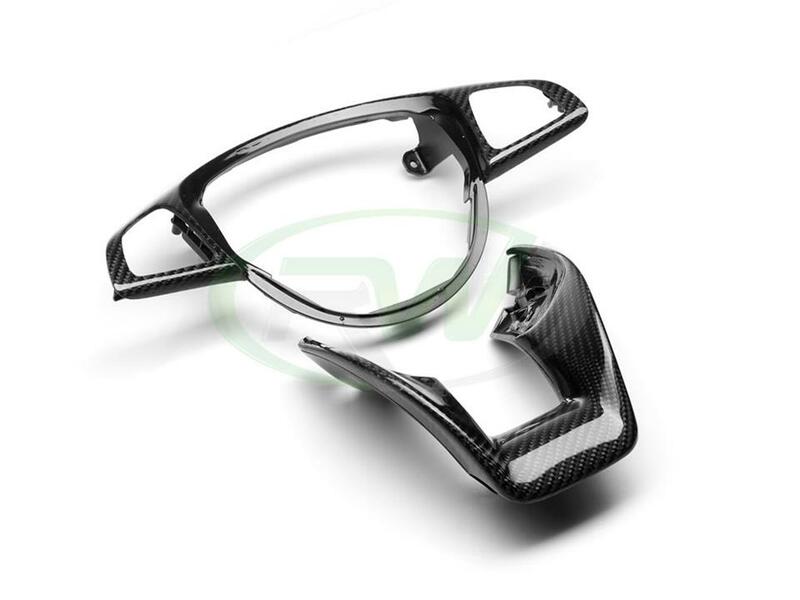 Many carbon fiber part sellers online they are shipping a product straight from overseas that has not been quality controlled. If you order one of these parts you could receive a part that is damaged, has scratches in the clearcoat, or overall poor carbon fiber construction. By choosing RW Carbon we make the promise to deliver a consistent, quality product that is shipped from our Southern California location, not from China. 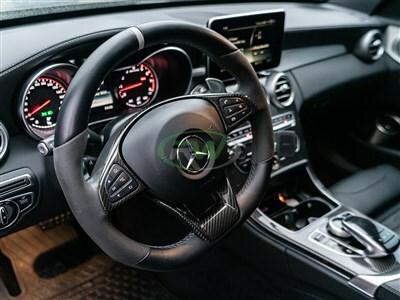 Additionally, all products shipping from our warehouse are meticulously inspected, and packaged to ensure the utmost care and provide a truly quality piece for your Mercedes-Benz AMG.